Trip planning is overwhelming, right?! “What if I miss some big attraction to see?! How do I pick one hotel out of the thousands? Where should we go for the local fare?” Anyone else have these thoughts? 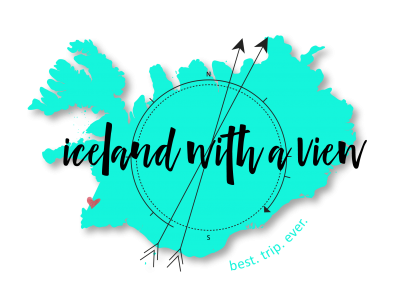 Especially when it comes to Iceland – there is SO much to consider! Me, I LOVE having things organized. Every time we plan a trip, I get right to creating an organized list of where we needed to be when, hotel details, etc. Bonus if it’s in a perfectly organized binder with tabs separating our itinerary, maps, hotel info, rental car, etc. everything highlighted and planned down to the hour! Here are the best six places in South Iceland. As you’re cruising down the Ring Road, you will be able to see Seljalandsfoss for miiiiles away. It sits at the end of a big cliff, and if you’re not used to seeing waterfalls, this will be an exciting sight from afar. Seljalandsfoss drops 60m down from a cliff. The best part about this waterfall is that you can walk behind it for a unique perspective! *NOTE: If you to do this during winter, it’s best to use crampons on your shoes – the spray from the waterfall makes the path extremely slippery. After Seljalandsfoss you will be in waterfall heaven, but keep heading down the road towards the town of Skogar. Skogafoss is simply breathtaking. There’s a legend that says the first Viking settler at Skógar stashed a chest of gold coins in a cave behind the waterfall. Don’t forget to hike up the wooden pathway for great views of the coast and the waterfall. Dyrhólaey is truly a unique sight. An arch like promontory jutting out into the ocean…this spot is definitely a must see! Bonus: this is a very popular spot to see puffins! I would say one of the things people want to see most in Iceland is the waterfalls and the black sand beach. Reynisfjara is where you do that. The famous basalt stacks stick out of the ocean and the Hálsanefshellir is such a famous sight, it is truly not to be missed. Skaftafell is a beautiful part of Iceland, but the real gem that people come here for Svartifoss waterfall. Although it’s a hike (2 hours round trip) to get back to the falls, it’s worth it if you have time to spare. The path is easily walk-able. Skaftafell is a very popular place to camp. I’ve said it before and I’ll say it again. I absolutely think you should drive all the way to Jokulsarlon. The icebergs floating in the lagoon is simply breathtaking. This is one of my favorite places in Iceland, no matter what the season! You can also take a boat tour which brings you closer to the glacier. A short walk across the street brings you to a beach where some icebergs wash up on the black sand! This is another amazing sight, especially in the colder months when more of the ice chunks stay on shore. To make the map bigger click the bracket in the top right corner of the map. Question: Do you enjoy trip planning or do you look to other options to help you? This sounds like such a great tool! 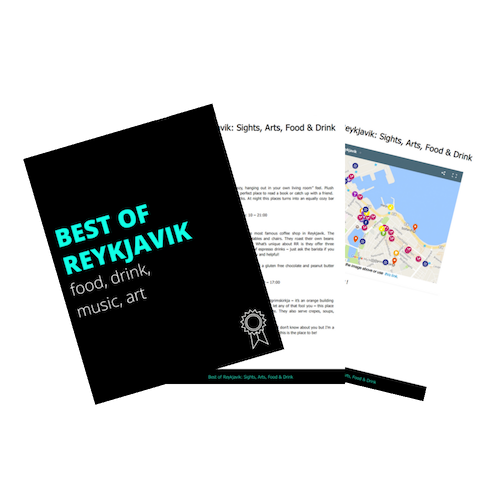 Thanks for pulling this list together too – definitely saving it for when a trip to Iceland happens! Trip Creator is so great, very helpful! Yes definitely hold onto this one, happy to help! Beautiful photos! I actually love planning travel so I would love for my husband to just hand me plane tickets and let me start! This site does sound helpful though, just to guide you thorough what shouldn’t be missed. Thanks Emily! I know a lot of people enjoy the planning part, we need those people in the world! TripCreator is great though, I will definitely use them for our upcoming travels abroad. This is so great!! I have been dreaming about going to Iceland for over a year now and there are SO MANY things I want to see. Fortunately for me, I love the planning part. Can’t wait to look more at all of this!